Top Ten Tuesday is a weekly meme hosted by The Broke and the Bookish where we list our top tens! This week’s topic is a rewind, so I picked “top ten series I haven’t finished yet.” I haven’t finished a lot of book series, purely because of three reason – 1. laziness, 2. forgetfulness, and 3. absolute hatred. I will eventually finish these series eventually (even if I hate the books), but for the moments, we have this lovely list. I have read books 1-5. I had a weird Harry Potter reading system when the fifth book came out. I would buy the new one (that was just released), but I wouldn’t read it. Instead, I read the previous book and once I was finished with it, I waited until the next book to come out to read the previous one. Get it? Yeah. It’s a little confusing. Basically, when the sixth book came out, I bought it but didn’t read it. I’d read the fifth one. The cycle continues. But this system did not work. By the time the seventh book came out, so much time had passed that I could not remember what happened in the fifth book. And since I couldn’t remember, I gave up reading it. Yes, I gave up. 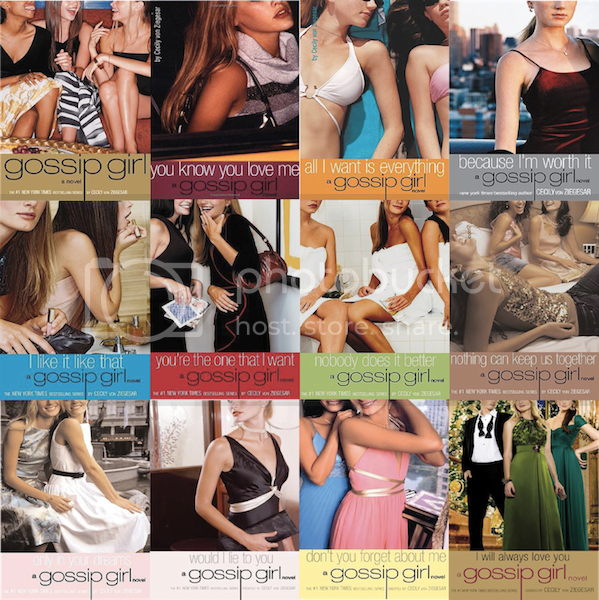 I vowed to my best friend that I will finish the series. One day! 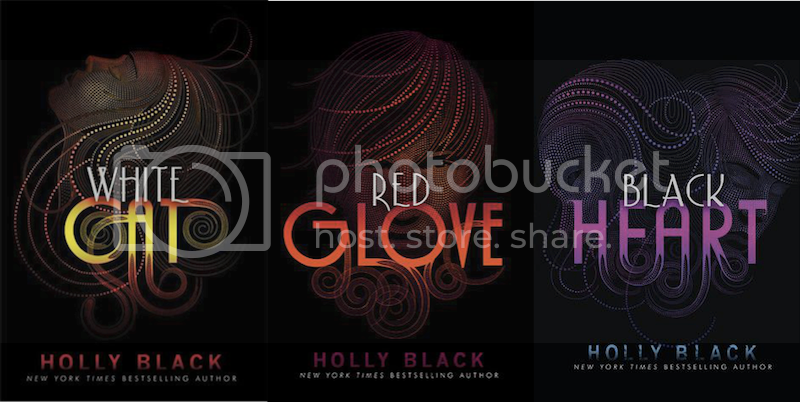 Curseworkers series by Holly Black I read the first book last year and fell in love with it. How can I not fall for thieves, cons, supernatural powers? It’s everything I could ever want. I had borrowed the other two from the library, but I got so busy that I wasn’t able to read it. The good news is that I won a gift card from TBD and ordered the other two. Yeeeeee. I cannot wait for it! I believe I read the first book in elementary/middle school and never finished it. I don’t know why, but I distinctively remember that it made my head hurt. Ha! I really wanted to like it, but I just couldn’t get into it. Maybe being an adult may change my views? I read the first book, but never got around to reading the rest. I think it has something to do with my bias toward the Bloodlines series. I may have started that series first before reading VA and I fell in love with Bloodlines that I can’t invest myself in the VA world. Hush Hush series by Becca Fitzpatrick I CANNOT WITH THIS BOOK. It was such a painful read. The female character had no agency whatsoever and the guy was an unredeemable sociopath. Why is she in love with a guy who told her he was going to kill her? It really makes me angry thinking about this series. I know, I know. I read the first three books back in high school. I was sooo into the books, but I didn’t have the money to purchase all of it. I don’t have the desire to finish this series. Probably because there are better written books then this. I read the first book because I was intrigued by the idea of soul mates, but ugh. I couldn’t get into it. It was too cheesy. It made my insides curl in a really horrible way. And it didn’t help when I wanted the girl to get together with the guy who wasn’t her soul mate. Whoops? Women of the Otherworld series by Kelley Armstrong I loved the first book because of the characters, but most of these books do not feature Elena and Clay, which is a damn shame. I’m sure the other books are good, but I just couldn’t get into it. I am loyal to Elena/Clay/the pack. 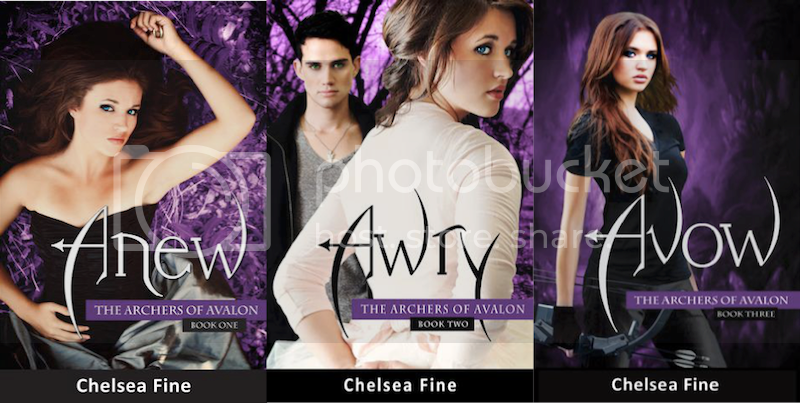 The Archers of Avalon series by Chelsea Fine I read part of the first book? The book made me feel too much like the Significance series. It made my insides quiver, almost like it’s trying to hide from the tired cliches that the book continually points to. I read the first book and was pretty indifferent to it? Sure, I loved that Georgina was kickass and works at a bookstore! However, the book felt entirely lackluster. I was just bored (with the plot and Seth), which is a shame because I adore Richelle Mead. haha your reaction to Hush Hush sounds familiar. I couldn’t believe she wanted to be with a guy who was going to kill her. You should seriously try HP again though. It’s so good! And I read VA one right after the other. But I could see how reading Bloodlines first would be hard. I saw White Cat in a discount store and didn’t get it, but now I think I should have lol.